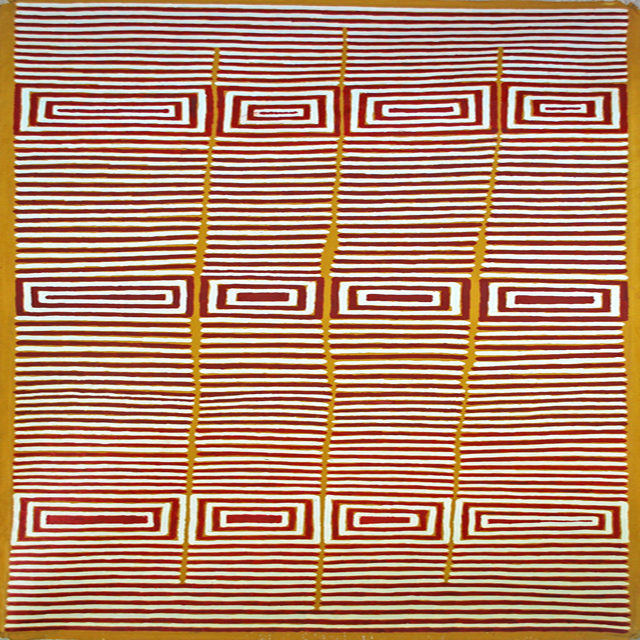 In this work Joseph Tingala Zimran, an Ikuntji artist, depicts the regular bush and grass fires that travel across the landscape. He also depicts the Tingari cycle which is a highly secretive aspect of indigenous culture in Central Australia. He is an outstanding emerging artists who is receiving world wide recognition. A large and striking painting.